Birds, like other creatures, can easily be drawn to your home and garden just by making food, water and shelter available – three things that all animals enjoy having access to. I’d like to share how I’ve made my own little bird friendly area in my yard that now attracts them all year long. Firstly, you should find out which species of bird live in your region. Then you need to discover which of them will come and go depending on the season, as well as whether or not they are migrant birds, or birds who stay in the area all year long. There are a lot of ways to find this out, but the most reliable source of information is probably your local Audubon Society – they will usually have a list of birds that are local to your area, as well as plenty of information for each variety on that list. Secondly, you will need to find out what birds are suited to your habitat. Do you live in a heavily wooded neighborhood? Is your area near a lush green forest, or perhaps more of a desert region with palm trees? Are you located in a big city or out on a farm in the country somewhere? Different bird species live in different climates an environments, and you must take this into account when it comes to which birds you are attempting to attract to your home, as well as what bird feeders and houses you should be using. A decent field guide on the subject will come in handy, so if you get the chance you should definitely pick one up. Thirdly, now that you know what birds live in your local area and could be drawn to your yard, what do you do? You start setting up bird feeders! Birds of course have no need for feeders, they get by fine on their own, but if you want to see them then you need to set them up near to your house; this means you will need to choose the right feeders, both for the birds and for your home’s looks – there are plenty of different ones to choose from. The best way to handle it is to set up a number of different feeders with various foods in them; try everything from a tube feeder with sunflower seeds to a hanging tray of fruit or a small bird house with millet. Fourth, whichever kind of bird feeders you decide to set up, ensure that they will be safe from potential predators – especially cats as they are the number one killer of birds. Make sure that your feeders are safe from cats, but also if you have a cat consider keeping it indoors; even a bell wont save every bird. If there are squirrels in your neighborhood ensure that your feeders are set up so that they cant get to your bird food, or buy squirrel proof feeders. Fifth, remember that water is important for your feathered friends. Not only do they need water to survive, but they also love to bath and play in it! Even if you don’t want to set up bird feeders you can still attract plenty of birds to your yard with a nice fountain or bird bath. If you have the option, choose a fountain with moving water as it will attract more birds, as well as other native wildlife, than the still water of a bird bath will. Sixth, you need to make sure your bird visitors have shelter. The joy of watching birds go about there day in their little houses, perform mating rituals and take care of their young is unmatched, and you will need bird houses to make sure you get to witness it. Keep in mind that not all birds will use bird houses, however, and that you will need to pick out bird houses that suit the species in your local area. 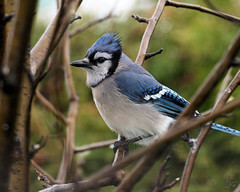 Seventh, you will need to landscape your yard to appeal to birds from your area; try using native plants. You will be able to find a list of suitable plants from either your local plant nursery or arbor society.